Are you interested in learning more about the night sky and would like the opportunity to operate high-quality telescopes? Do you enjoy interacting with people? The Headlands Dark Sky Park is seeking volunteers interested in joining its Dark Sky Docent Program to assist visitors with skywatching activities during the upcoming busy season. Candidates do not need to be an astronomer or an expert on the night sky to participate. All that is needed is a willingness to learn and work with the park visitors. Applicants chosen for the Dark Sky Docent Program will receive all the training needed to become a guide at the park. Training will include operation of the observing telescopes, basic astronomy and best practices for working with the public. In addition, properly-trained selected docents will have access to the research-grade telescopes located at the Headlands’ observatory. As is typical with volunteers to many public organizations, those signing up to become a Headlands’ sky docent will be required to pass a criminal background check. Dark sky docents will be asked to commit to working a minimum of eight sessions during the summer and fall. For these dedicated hours of assistance at the park, volunteers receive free admission to astronomy events and access to the staff parking areas. Docents will also be allowed, on designated evenings, to use the park’s telescopes (excluding those in the observatory) for private viewing sessions with family and friends. Training sessions will be held at 7 p.m. March 14, March 28, April 12 and April 25, with observing sessions beginning in May. 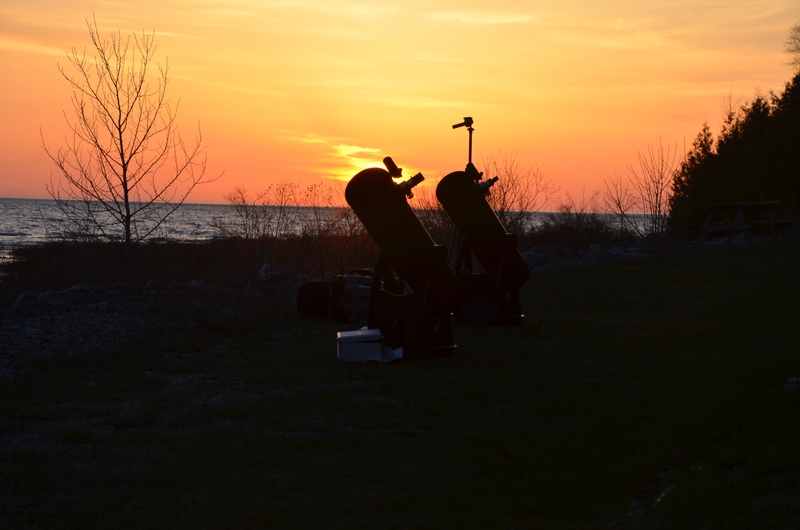 Persons interested in participating in the Headlands Dark Sky Park docent program should contact Rod Cortright of the Northern Michigan Astronomy Club at (231) 675-0393 or by email at cortrigh@mus.edu. This entry was posted in News from the Headlands, on January 29th, 2019 .